Throughout the year, nature provides us with gorgeous beauty in the form of flowers and plants. It is amazing how many types, shapes and colors can be seen. All you have to do is go out on a walk to enjoy them at their natural locations. The gentle color of pink says romance all over. There are also more powerful hues of the color which are also attractive to look at as well. This country has annual flower celebrations. A “Landesgartenschau” is an annual festival of flowers. Each of the German states hosts one each year and each one has also different themes to make them even more interesting to visit. The topics could cover “gardening” or “ecology” or other enviromental topics affecting the growth of plants and flowers. Also every two years, there is another flower event called “Bundesgartenschau”. This is similar to the“Landesgartenschau” but only occurs in one chosen city in Germany during that particular year. Every 10 years there is yet another event called the “Internationale Gartenschau”. 2013 is the next date for this celebration of flowers and coincides with the “Bundesgartenschau” and it will be located in Hamburg, Germany. The topic of the exibition in 2013 is called “In 80 Gardens Around the World”. 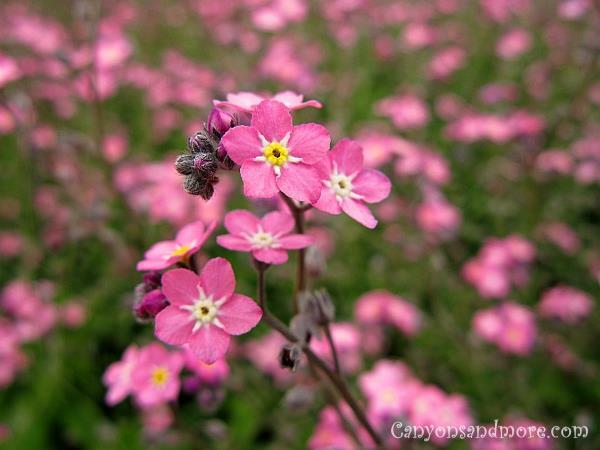 If you are feeling down, just walk through a field of flowers, such as these pink ones, to lift your spirits again. Pink roses on a perfect summer’s day. That is pure beauty. But when bloomed, the beauty of the rose sadly only lasts a couple of days. The houses of many small towns in north Germany are famous for having roses planted by their front doors. Since the front doors are along the sidewalk, there is no space for a yard. Just a small flower bed area. So the residents use the space to their best and plant roses. During the summer, this is a lovely sight to see when all of the roses are in full bloom. The town of Friedrichsstadt is one of the best examples of this tradition. 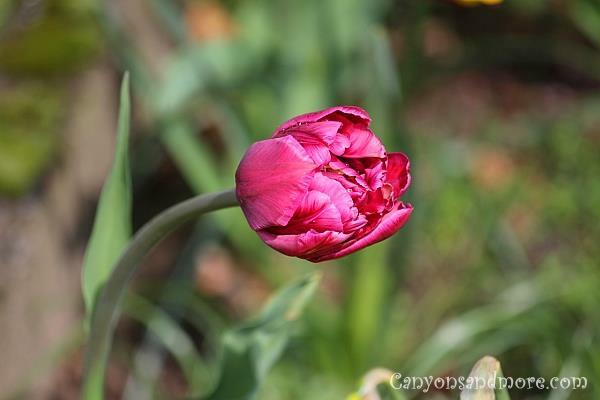 Spring would not be spring without the lovely tulips. If you plant bulbs in the fall, you will be pleased when the warm days of March and April come when these beauties grow in your garden. And if you do not have a garden, but just a small balcony or terrace, a few bulbs planted in a pot will also do the trick. 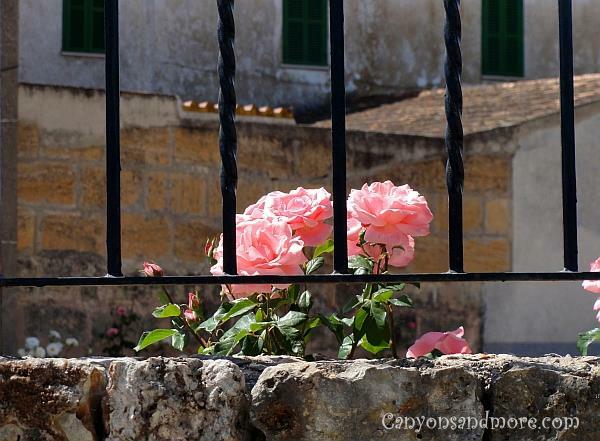 Pink roses are reaching towards the sun in a small town on the island of Mallorca. Pink is such a pretty and fresh color for flowers. 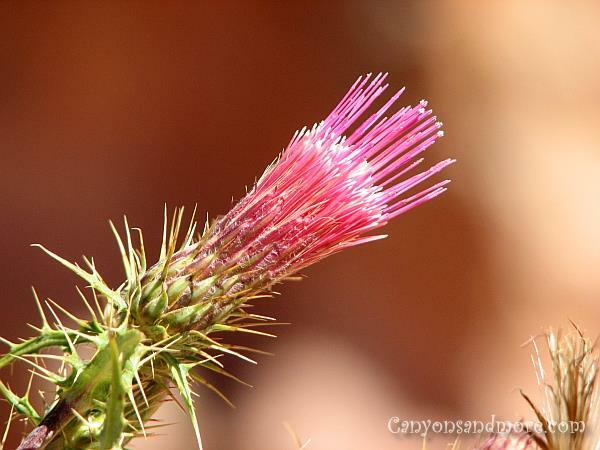 This destert thistle was seen in Bryce Canyon, Utah and is proof of it. It was a pretty contrast to the warm terracotta colors of the canyon walls. 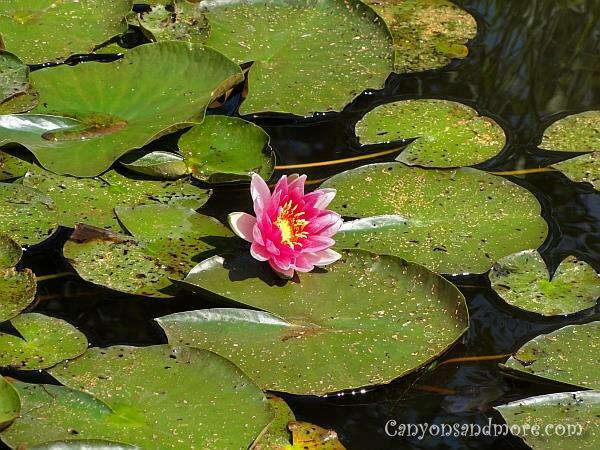 The only thing missing in this image is a frog sitting somewhere on a lily pad. That wonderful moment in spring after a long winter when the trees start to bloom with flowers and bright green leaves that glow in the sun’s rays. Not only do the cherry trees have such pretty flowers, but the apple trees are truely just as beautiful. 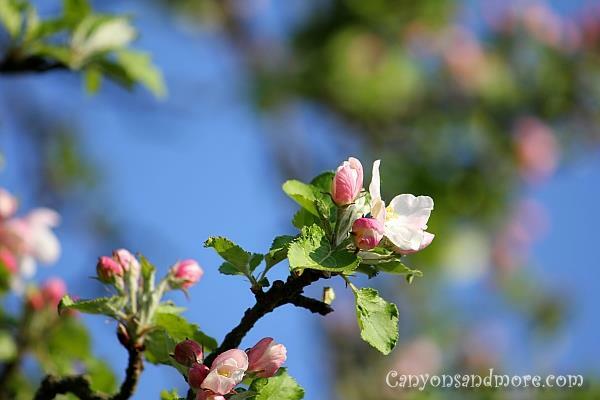 Apples eventually replace the blooms and grow all summer long to give us a delicious harvest when autumn comes around. Spring is in the air and the cherry blossoms are one of the first signs that the season has officially arrived. 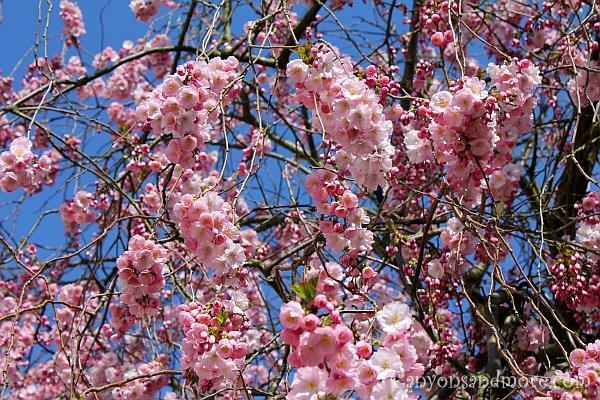 This picture of this blooming tree was taken in Bad Segeberg, Germany in the heart of the pedestrian zone. 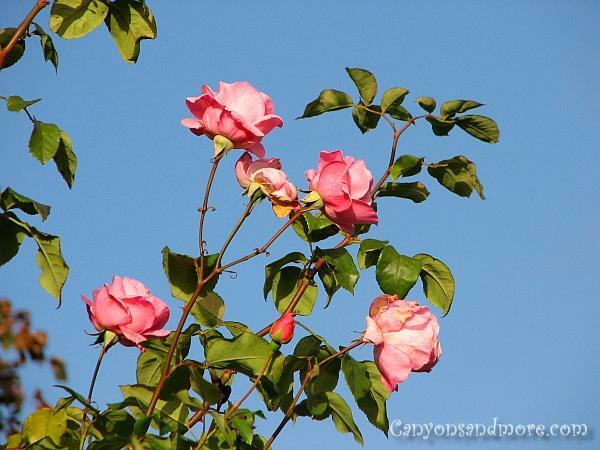 A bush of wild roses is a lovely sight to see during the summer months. 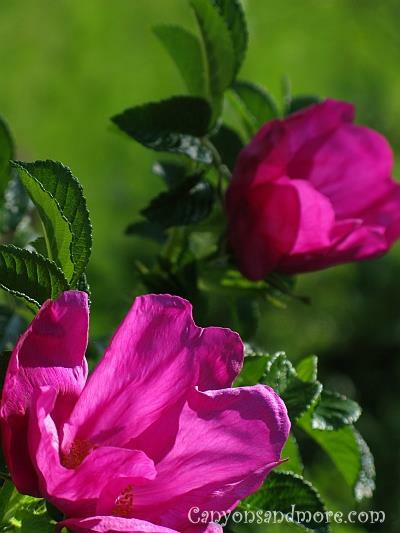 These particular blooms are beautiful examples of the flower. 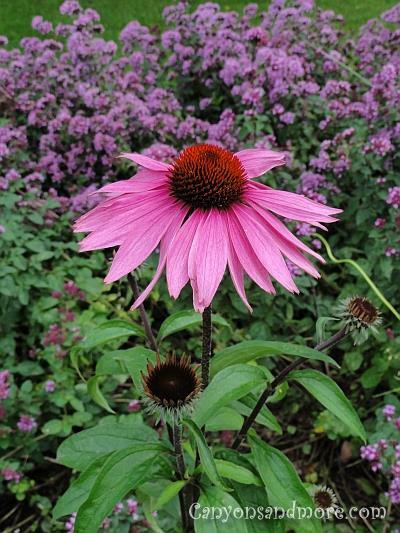 This Echinacea was looking so pretty while stretching its head towards the sun.